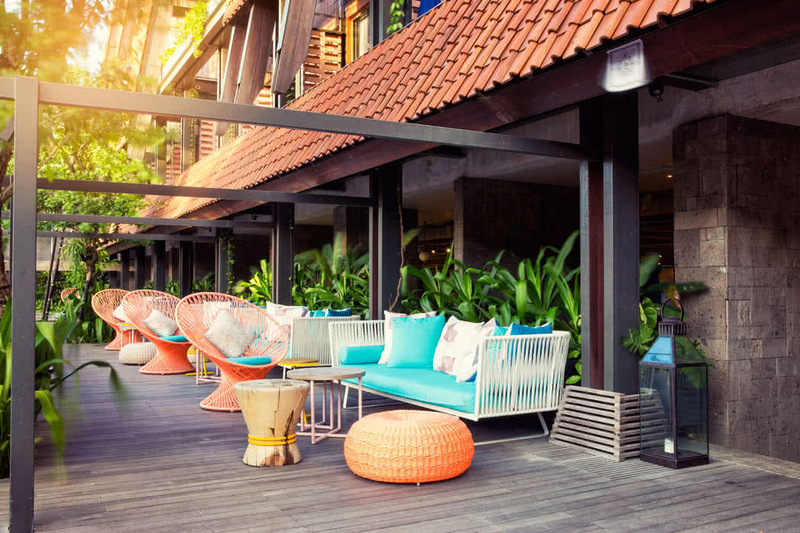 For a hotel as fun and fabulous as it’s surroundings, check into the gorgeous Tijili Seminyak Hotel in Bali, Indonesia. 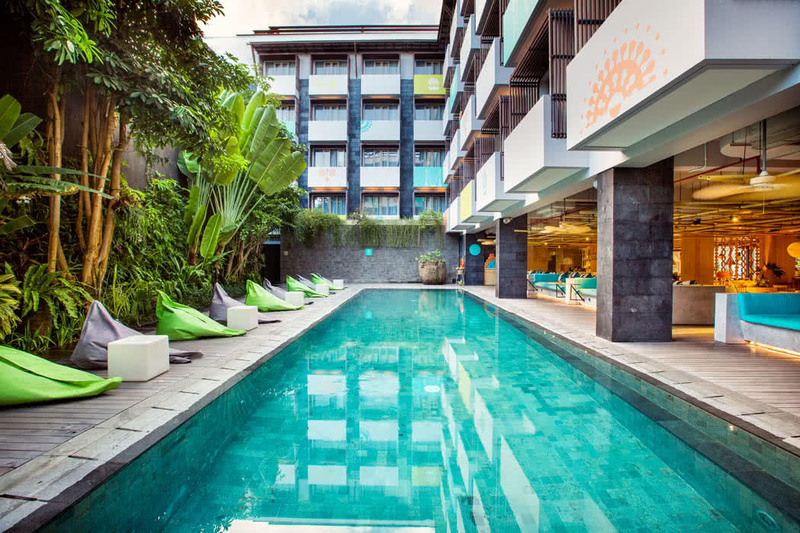 The hotel is located in the very heart of the Seminyak; the buzzing, trendy beach resort towards the south of Bali. The beach is a pleasant 5-minute walk away and you are surrounded by boutique shops, restaurants, cafes, and nightlife. Your actual location is on a quiet side street so although you are in the centre of the action, there is peace and quiet in the near vicinity. The most popular time to visit Bali is during the summer months of July and August. If you can, go just out of season, so May, June or September when you can still avoid the rainy season (which occurs October to April) but also miss the crowds too. You can fly from the UK to Bali’s Ngurah Rai International Airport in around 17 hours with a connection. Flights usually go via Bangkok, Singapore or Malaysia. From the airport it’s just a 20-minute drive to the hotel. 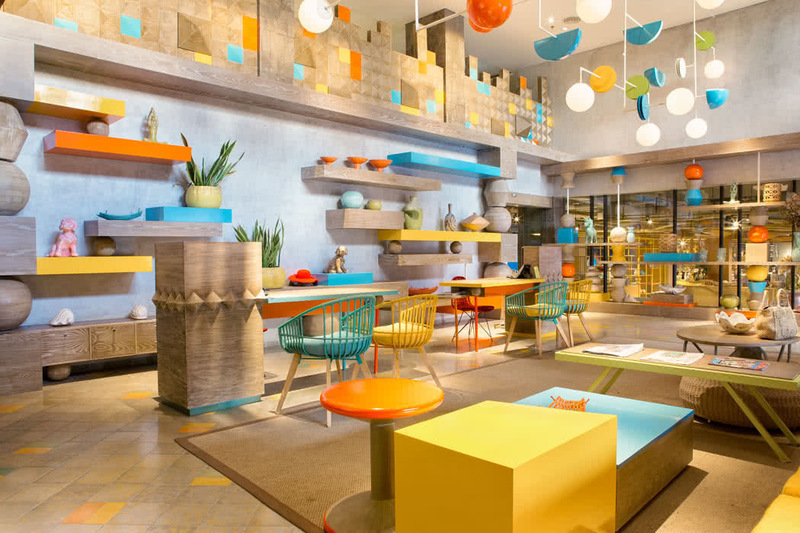 The art-oriented boutique hotel is a charming burst of colour and style. 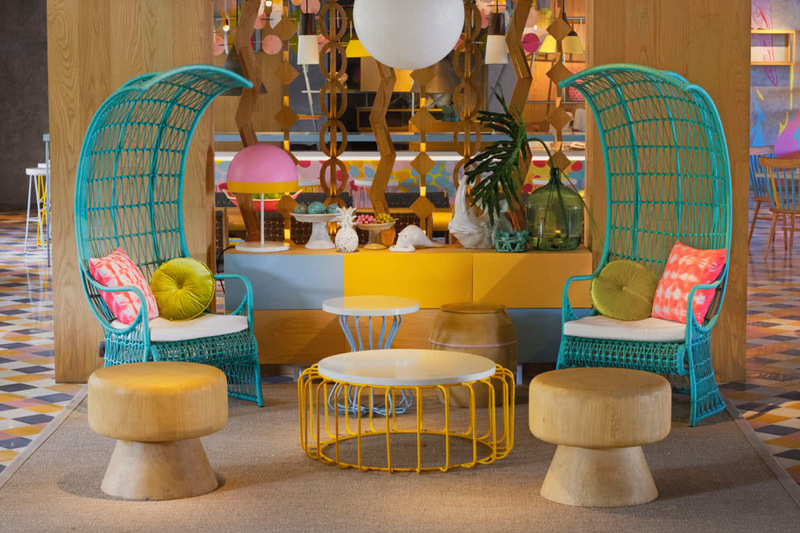 Trendy, quirky and fun but very comfortable and very light and airy with lots of natural materials amidst the colour pops; it’s one of those places where you will fill up your Instagram! The décor has clearly been very carefully considered; the art pieces are sourced from local artisans and are, in many cases, totally unique to the hotel. 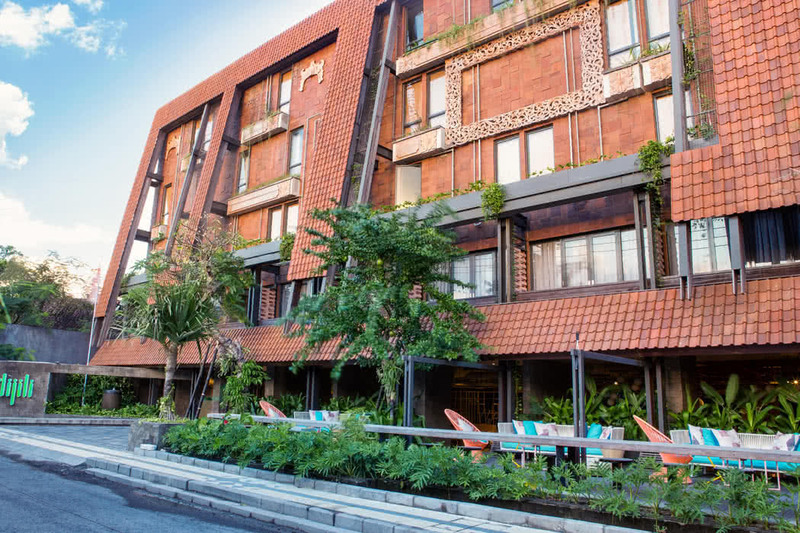 The hotel boasts a beautiful outdoor pool surrounded by a vine-covered wall perfectly in keeping with the trendy, urban vibe. It’s surrounded by oversized bean bags to make your experience there just that bit cooler. The service here is great, the young staff are very friendly and very obliging. 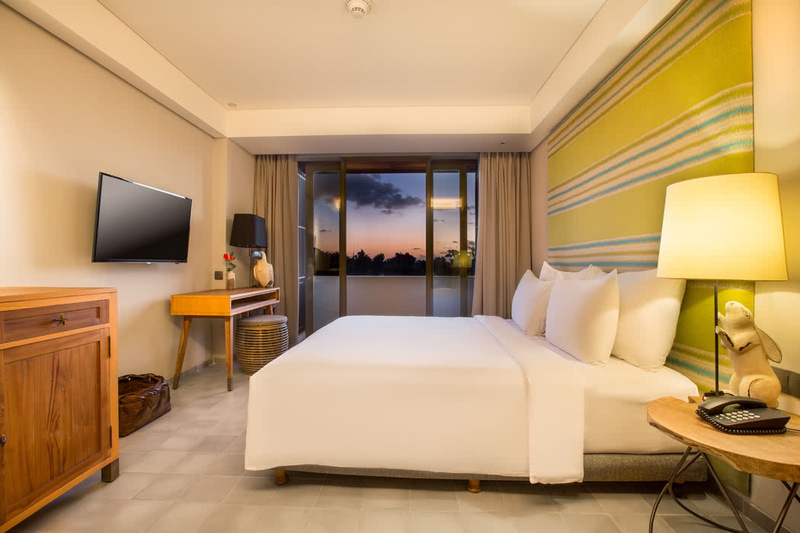 There are lots of services provided to make your stay as easy as possible: a 24 hour front desk, airport transfer and taxi service, laundry and dry cleaning services, 24 hour room service, complimentary valet parking as well as a very handy shuttle service to Seminyak beach. 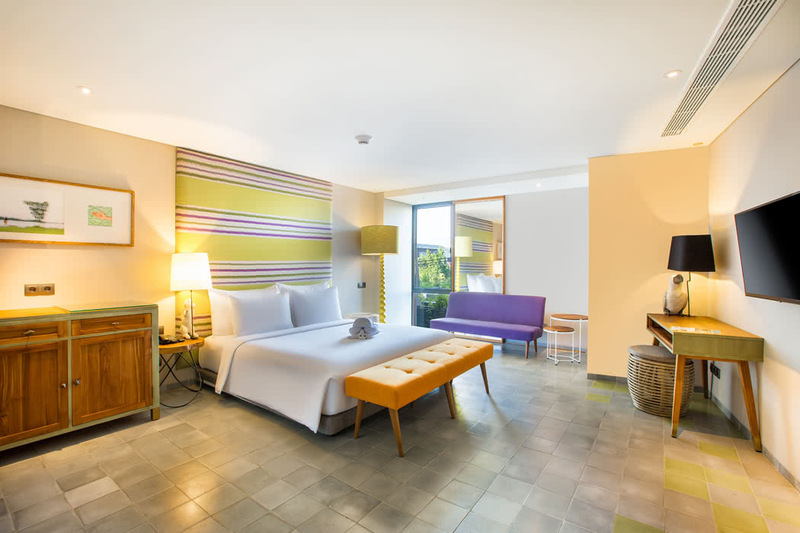 The rooms and suites at Tijili Seminyak overlook either the pool or the city. 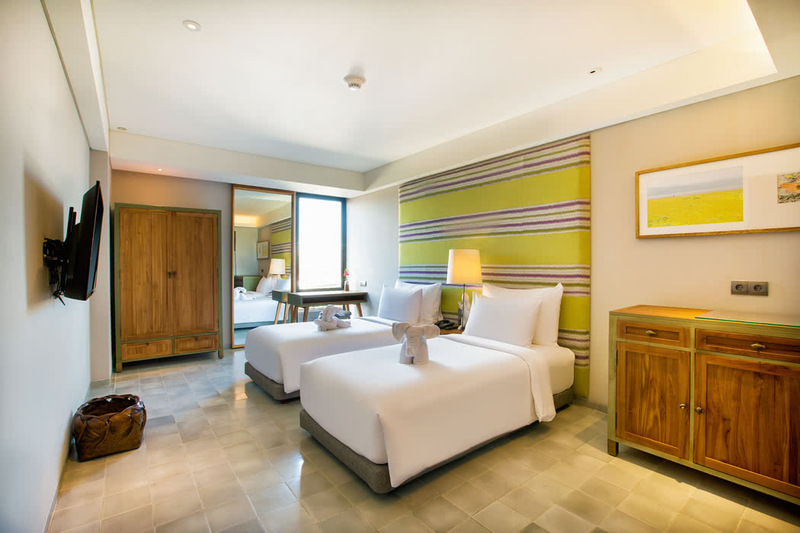 Each is exquisitely designed in keeping with the rest of the hotel and features stunning handmade tile floors sourced from artisans in Java. 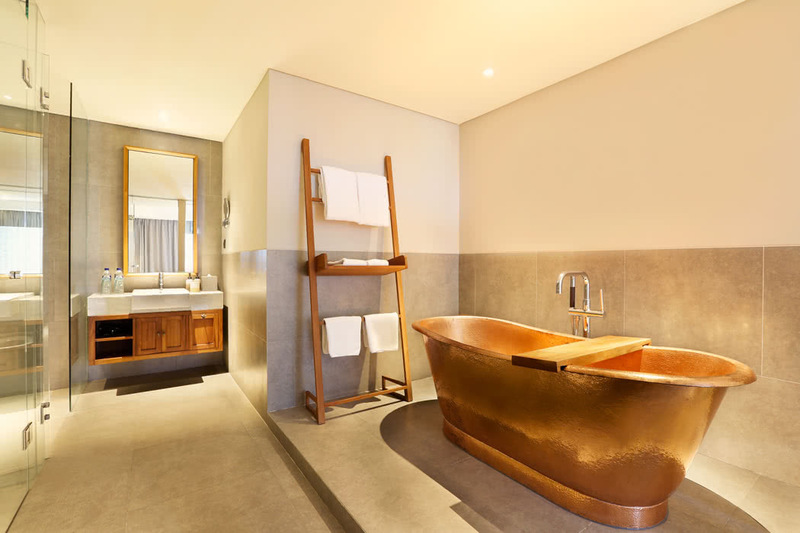 All the rooms have individually controlled air conditioning and huge bathrooms with rainfall showers. Stay in either the Deluxe or Deluxe Corner Room if you want somewhere comfortable but are planning to be out and about a lot. Discerning guests will definitely want to book either the Deluxe Room with Balcony with its lovely view over the pool or ideally the Junior Suite, which not only gives you lots of space but also the bathroom has a wonderful copper bathtub, plus there’s a separate living room with seating area, and a deck for lounging; bliss! Urban-chic hangout, the Kakatua Tropic Lounge and Restaurant is perfect for a fresh, tropical-inspired bite to eat. As well as the local dishes, International cuisine features with classics like pizza and sandwiches too and of course, your surroundings are as fabulous as the rest of the hotel. It’s also got a reputation locally for being THE place to go for a long, laid back weekend brunch. Just steps from the white sands of the private beach you’ll find the Kakatua Pizza Patio; very convenient when you fancy a creative cocktail or a refreshing smoothie while watching the waves. 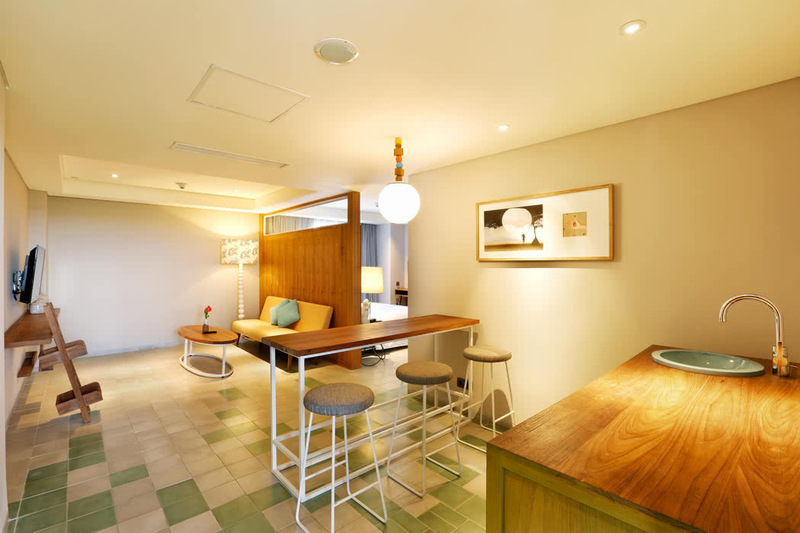 We love this hotel because it’s such a fun place to stay and it’s so well located.